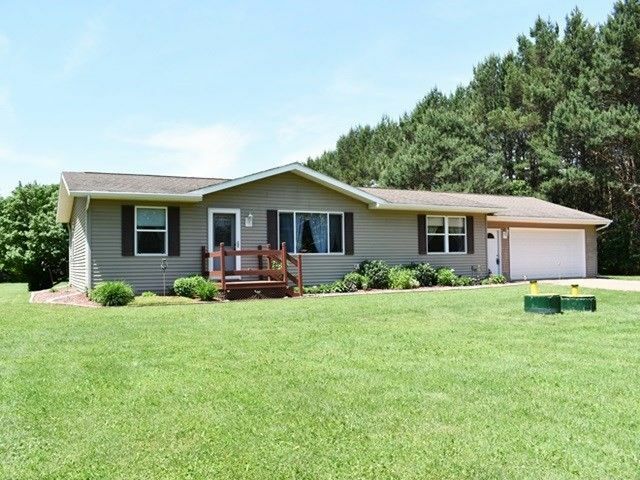 Located On The Outskirts Of The City Sitting Pretty on a manicured 2 acres is this well maintained 3 bedroom 2 bath ranch. Featuring a nice flow in the living space areas, the kitchen has a breakfast bar and appliances are included. The dining area has patio doors to the deck giving way to your peaceful backyard. Light giving picture window accentuates the living room. Split bedroom plan gives you your privacy as evening falls and the master bath features a garden tub for soaking your cares away. Directions: NW on Veterans Pkwy/Hwy 13, N on Schmidt Rd to home on left.